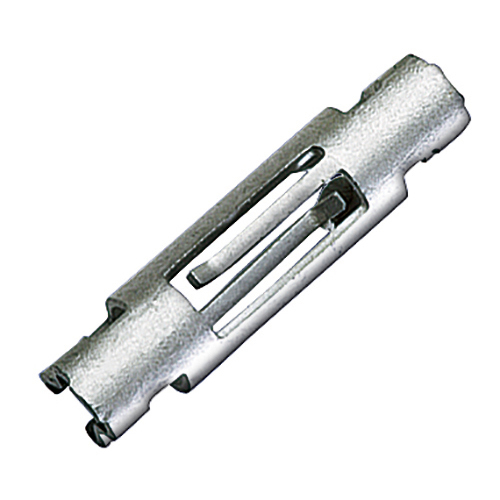 Purpose: Fastening two flat components together. 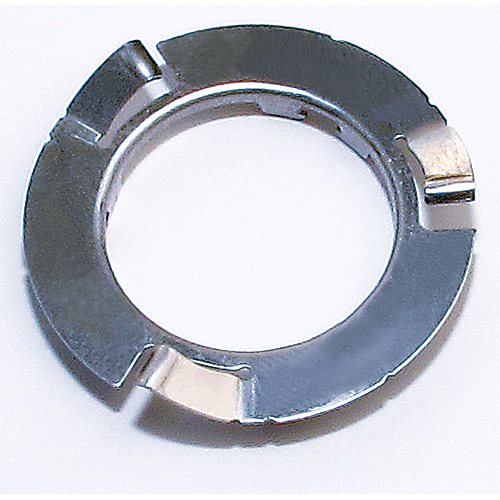 In a complex manufacturing process a high-precision functional part is produced from relatively soft strip steel with 650 N/mm² that is supplied spooled onto a roll. 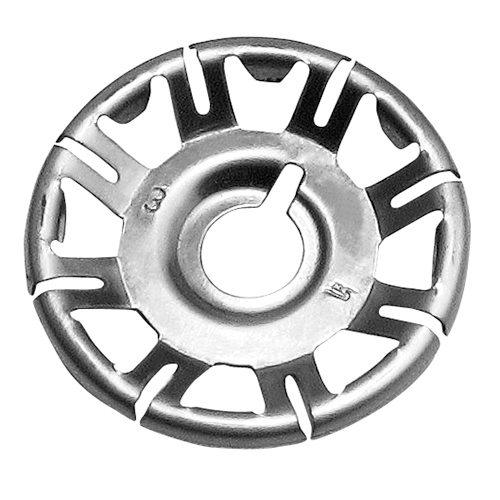 This part is widely used in standard makes of cars. 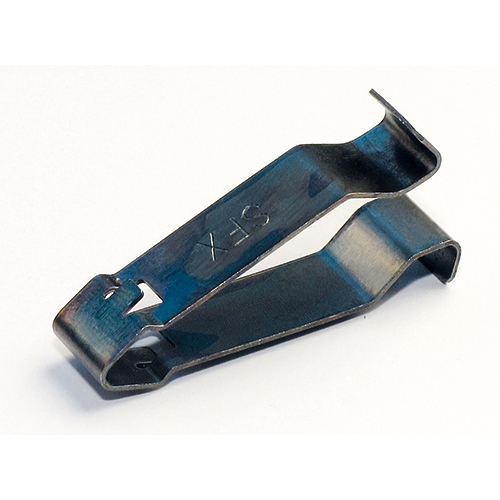 The clamp is made of a heat-treatable C67 steel and is first of all cut from the strip on a punching-bending tool to achieve the required contour and then shaped as required with bending dies. This is followed by a heat-treatment process in the bainitic intermediate stage in order to obtain a high-impact structure. Subsequently, a highly corrosion-resistant surface coating with optimized coefficient of friction is applied using the barrel process. The main functions are to hold, in a very restricted space, two sheet-metal parts with specified assembly and disassembly forces, and to eliminate noise resulting from bodywork deformations during normal use on the road. 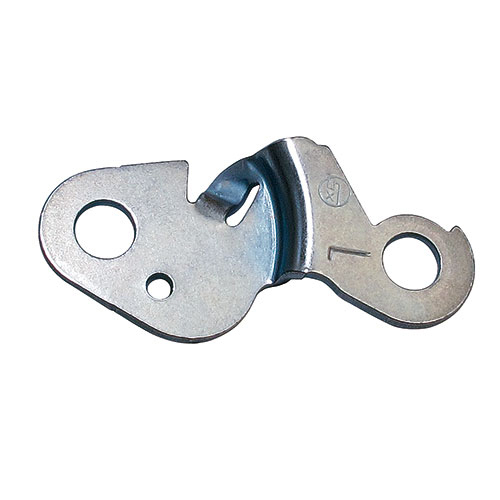 For this the functional elements of the clamp are designed in accordance with the task in a non-detachable fastening that locks movably in the carrier plate and another one for the covering panel that can be detached once again using a specified disassembly force. 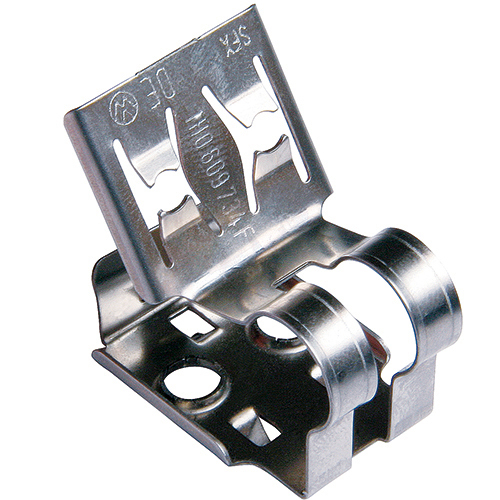 When locked, a further support comes into effect, so that the clamp can guarantees an optimum force resistance of the two sheet metal parts by means of the 3-point support.